Brave leaders take measured risk based on data and personal beliefs. Leaders who create an environment in which people feel comfortable taking reasoned risk, reap great rewards. Bravery means having the courage to face the possibility of failure, but it can also mean having the strength to be a trailblazer. 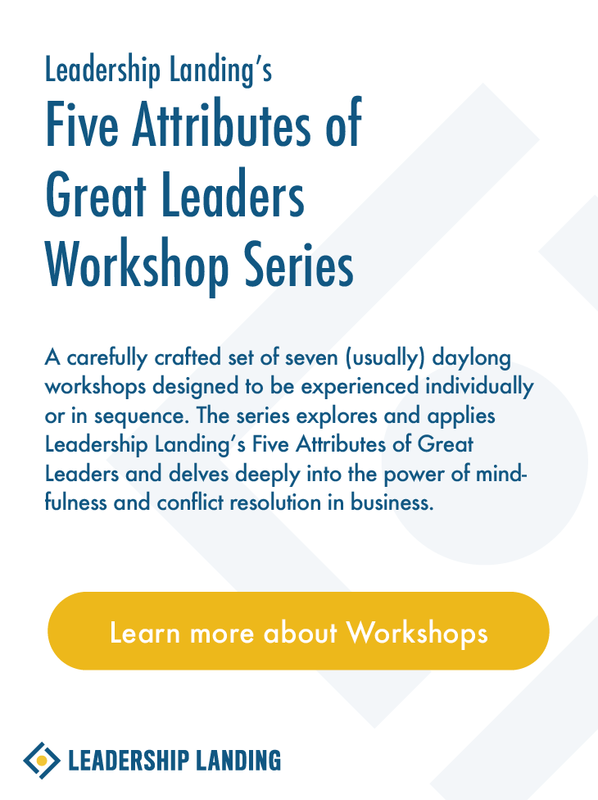 This day-long workshop employs the three rules of Improv as a way to creatively explore and develop inner courage in a supportive environment. By deeply reflecting on inner strengths (and barriers), participants work to identify how courage and bravery have actively supported their own success to date. Participants learn what current obstacles currently interfere with their own bravery, and work to overcome and dissolve those barriers. Leaders leave with a greater sense of their own natural bravery and take with them a more developed sense of how and where to apply that bravery for the betterment of their organizations and the people in them.